Book a band to club Kick-Start! The amazing people behind club Kick-Start in Malmö, Sweden, are using Emues as a tool to explore and book new talented up-and-coming bands. 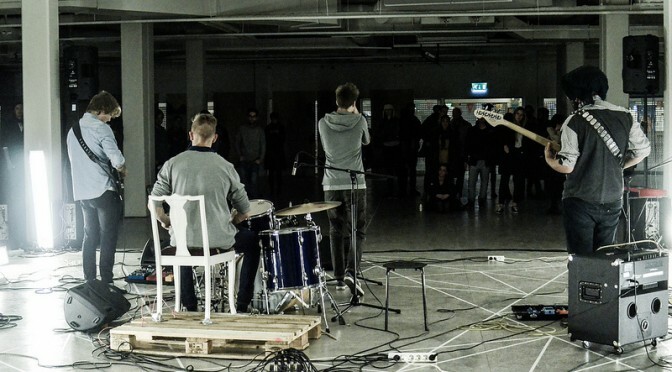 Throughout 2014 several bands have been booked by their fans through Emues for club Kick-Start at Babel in Malmö. With the help of friends and fans you have the possibility to choose a band to get booked at this amazing club, where talents like The Ark, The Sounds, Magnus Tingsek, Helena Josefsson, David & The Citizens, The Rasmus and Sahara Hotnights all started their careers. To make it on to KICK-START’s official program, submit your suggestion before January 30th! Do you have any questions? Please reach out to us via email, (crew@emues.com), Facebook or Twitter. 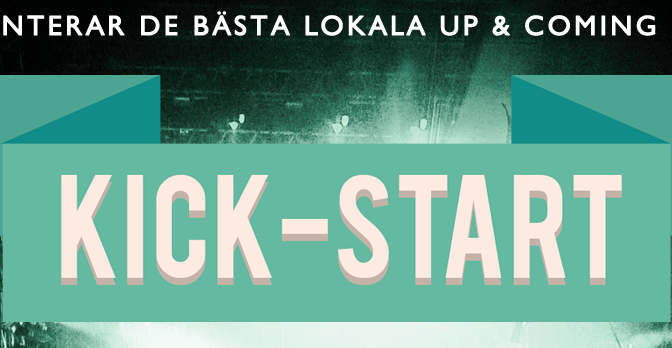 Fans are now in the process of booking Funked Up and Truman Legion at KICK-START at Babel, Malmö. Get your tickets and ensure that these amazing Swedish funk, soul and hip-hop bands get booked! What’s there more to say than: “FREAKIN’ FUNKY!”? This band has been booked several times with Emues, check out their interview below. This Swedish hip-hop group is full of funk, soul and a whole lot of groove. Funked Up played live at the Emues Showcase in November 2013 at Mitt Möllan in Malmö, Sweden. Funked Up have been dear friends of the Emues Crew since Emues took its first steps a few years back. The band has been booked by the people through Emues several times, and in this video and interview, they tell us a bit more about their experience with Emues. Filmed by Sasha Bond & Joosep Koivistik. Check out Sasha’s YouTube and Joosep’s blog. 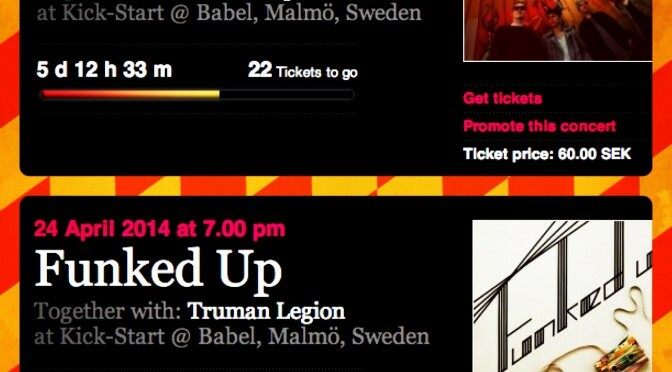 Now, you can join in and book Funked Up at KICK-START, at Babel in Malmö, together with Truman Legion. Get your tickets and ensure that Funked Up gets booked for another incredible gig! Find more photos from the Emues Showcase in our Flickr set. 1. Who are Funked Up? Works in Malmö and has studied music in Ystad, Sweden. He likes oatmilk and wakeboarding. His favorite TV show is with Swedish hosts Filip and Fredrik. Studies social studies and music in Ystad, likes cars and liftin’ weights. His favorite movie is Pulp Fiction. Chilling in Abbekås, Sweden. He eats incredibly slowly. Likes 70s Funk and flip-flops. Studies music at Heleneholmsskolan in Malmö. Likes fishing and baking bread. Favorite song at the moment is “Moanin” with Charles Mingus. 2. When and how did Funked Up start? Funked Up was created during the summer of 2008 after a day of riding BMX in our home town Abbekås, when Charlie asked Mårten if he wanted to play some covers. The same summer, Dennis broke Pelle’s leg after many intense games on Abbekås soccer field, which put Pelle in a wheelchair, where he gained an interest in playing the bass. Charlie, Mårten and Pelle started to play together, but were missing a drummer. After using a drum machine on a keyboard for some time, the three of them asked Charlie’s brother Dennis if he would like to become their drummer. Dennis, who had never touched a drum set, learned incredibly fast. And that’s how it all started. You are invited to attend and book the hottest and most tweet’able after-party ever this summer – The Conference, The Party, Aug 22nd at Babel in Malmö. We are happy to announce the collaboration between Media Evolution and the spectacular music venue Babel in Malmö, Sweden. Through Emues.com/Babel the power is all in your hands to book the show! As of now two suggestions are up, the first suggestion to sell 200 tickets will be booked. 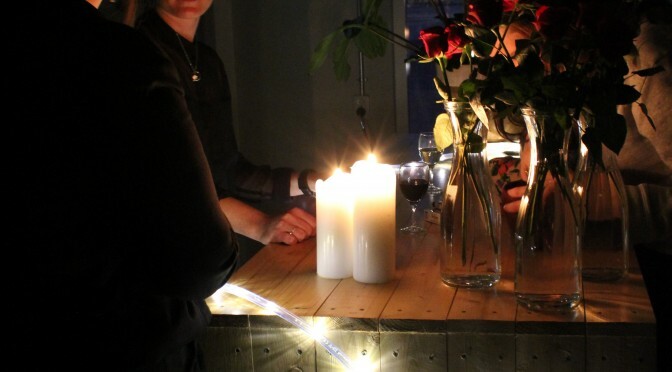 Friday, April 27th, Malmö: Another amazing music night at STPLN with the crowdfunded concept The Night Starts Here. A gig was suggested for Sonja Skibdahl and Funked Up and over 20 of their fans got together to make it happen. The result? A fun night in the always cozy atmosphere with a lot of great music. Anna Tenfält and Josefine Trilhamn welcomed the crowd and kept music playing at all times, with great indie pop beats. On stage, Sonja Skibdahl‘s music transcended the lyrics: between Swedish and Finish, it was a personal sound that could speak to our hearts. An intimate start followed by her witty guitar and warm personality. On a bit different pace, Funked Up took the stage and it was loud and good: groovy music that got everybody on their feet and wishing for more! There was crazy energy on stage on a sound that felt much more mature than their look. Oh yes: they know how to set the tone for a party.